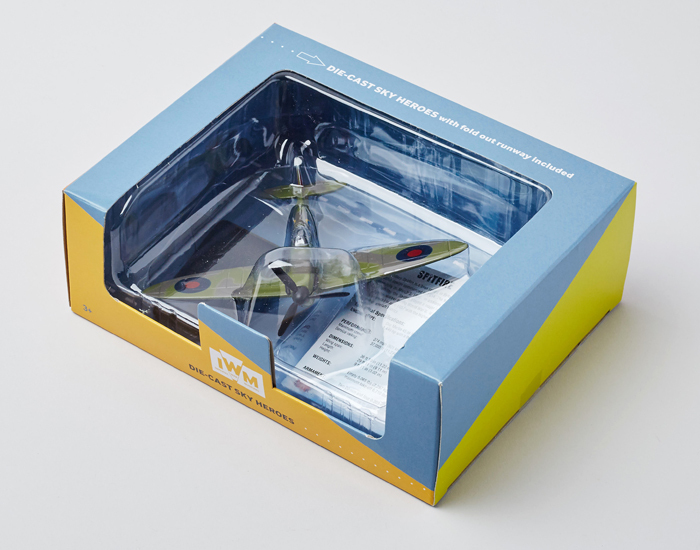 Packaging design for the Imperial War Museum's best selling, Die-Cast Sky Heroes range. This is sold in all of the museum's shops. 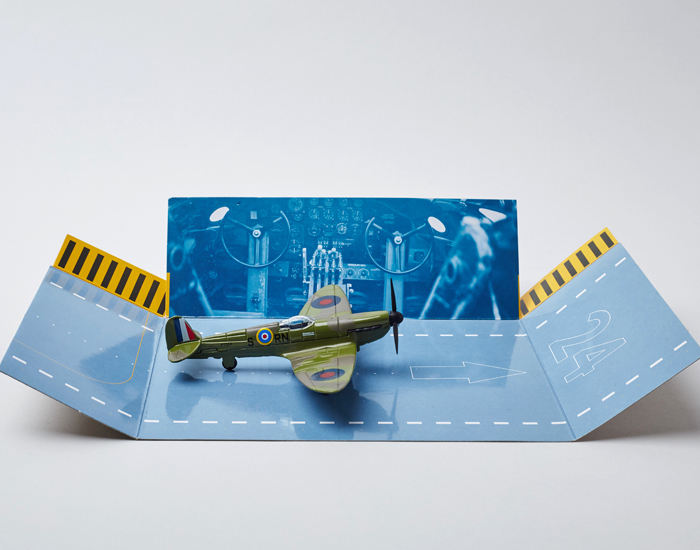 Using a standard box which had to come with an insert, we decided to make use of it by converting it into a runway for the plane.